This weekend I worked with the Brooks Guru's at the Rock and Roll Half Marathon Expo in Dallas. What a blast. We were giving away Bandana's, Tshirts, Ear Buds and shoes! I gave away 3 pairs of Brooks Shoes in the four hours I was there. Brooks Rocks! The Best! Exhausted. No gas this week. I guess recovery from the week of skiing and the four weeks of hills before that. First week back in the office probably had something to do with it. Also because Mountain Daylight Time is the same as Central Standard Time, this was the first week of Daylight Savings. Anyway, I was tired. Swims were good on Tuesday and Friday - hard 25s nice. Sunday's ride was COLD! Sheesh! I am glad that this week is in the bag. Hopefully I am recovered and ready to hit some hard work next week. 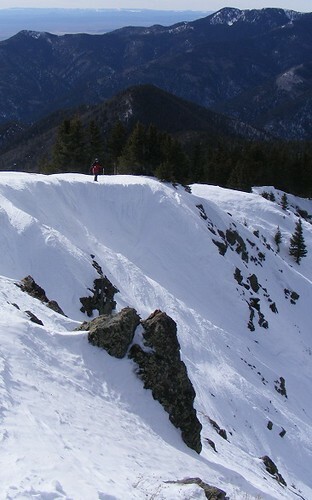 Dropping into Stauffenberg at Taos Ski Valley NM. What a great week. Marissa and I spent four days at Taos skiing. And in addition Jim and KimP made an appearance at Taos as well. We had a blast skiing with them. Every morning I got up and Ran up to the Bavarian - which is like climbing up the side of a cliff. I hiked the ridge six times; Three of those with Jim. Back in Dallas on Saturday, I did a solo ride down and around White Rock Lake before Logan's soccer game. Then on Sunday I did my 12 mile loop, after Marissa's soccer game. Monday Mar 14: Taos NM: 46 min (Recovery 31) Run from Powderhorn to the Bavarian - 4 miles. Plus a little bit of skiing. Tuesday Mar 15: Taos NM: 44 min (Recovery 36) Run from Powderhorn to the Bavarian - 4 miles. Plus a little bit of skiing. Wednesday Mar 16: Taos NM: 43 min (Recovery 33) Run from Powderhorn to the Bavarian - 4 miles. Plus a little bit of skiing. Thursday Mar 17: Taos NM: 44 min (Recovery 47) Run from Powderhorn to the Bavarian - 4 miles. Plus a little bit of skiing. 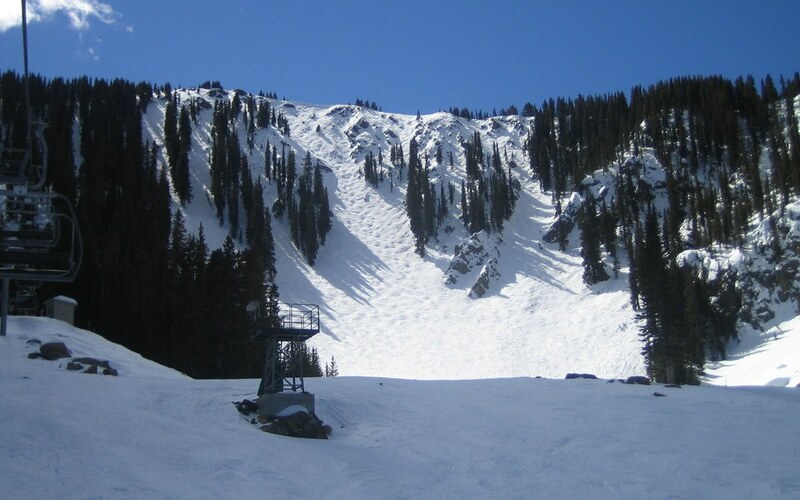 Friday Mar 18: Taos NM: 43 min (Recovery 28) Run from Powderhorn to the Bavarian - 4 miles. Saturday Mar 19: WRL (Ave 16.1, CAD 78, Ride Time 3:18 Recovery 35) 53.4 Miles Bike. Sunday Mar 20: 94 min run, (recovery 43), 12.0 Miles run. Killer hard week - week four of hills. Was totally trashed by going in the last hill. Ron killed me in the pool Friday. Was very tired Sat and I could barely moved on Sunday for what should have been an easy 8 miles. Week Three of Hill Training at Flagpole Hill. Hard. Popping Advil like candy! Strong workout at the hill on Monday and then 4000 Meters in the pool. That was hard. Felt very good on Wednesday Easy Distance. And then solid work on the hill on Thursday with a 48 Second last hill - big improvement from Monday. The legs were dead for the swim on Friday. Still I managed a pretty decent swim, with lots of pulling. Saturdays run was with 30MPH wind gusts. My legs were absolutely trashed from the week. Sunday I did the 8:30 RBM ride. I was in good shape until the last ten miles. I got blown off the back just before we got to Parker/Dublin Road. I managed to catch up and hang, barely, until we got back to Richardson. Wow.